I had to fight with the woman a bit to let her take both coupons on each set. One coupon is for the free item. 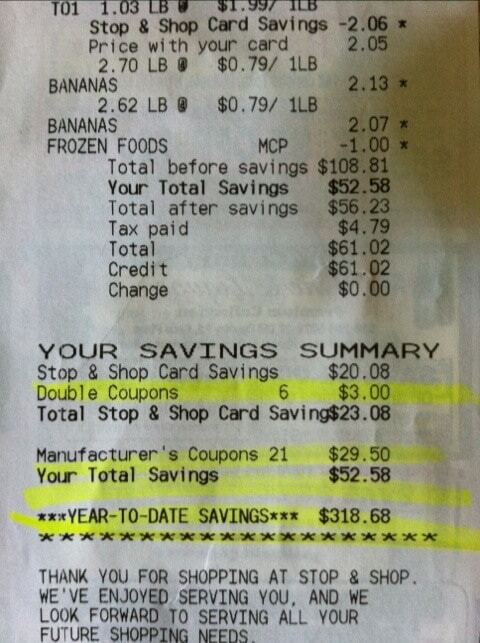 One coupon is for the item that you are buying full price. Did this twice. As you can see, my original total was$108 but I ended up spending $61. ANDDDDDDDDDD I earned $5 bucks to spend on whatever I’d like during my next shopping trip. I didn’t add that into the calculation. If I did, the percentage saved would have been 52%. Not bad for a regular run. Everyone can use an extra $50 in their pocket, right? I used http://www.livingrichwithcoupons.com as my base and then brought my binder with me and searched out a few extra deals while there. Also if shopping at stop and shop make sure to use ur points to get 10 20 or 30 cents off gas at shell. 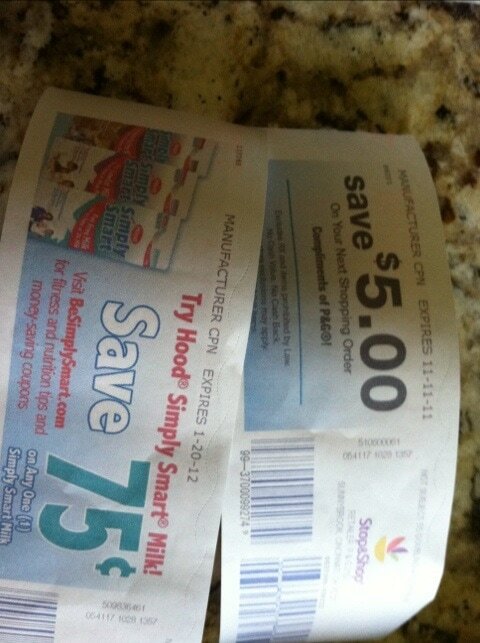 Also did you use the double the dollar coupons coupons that was in the circular? 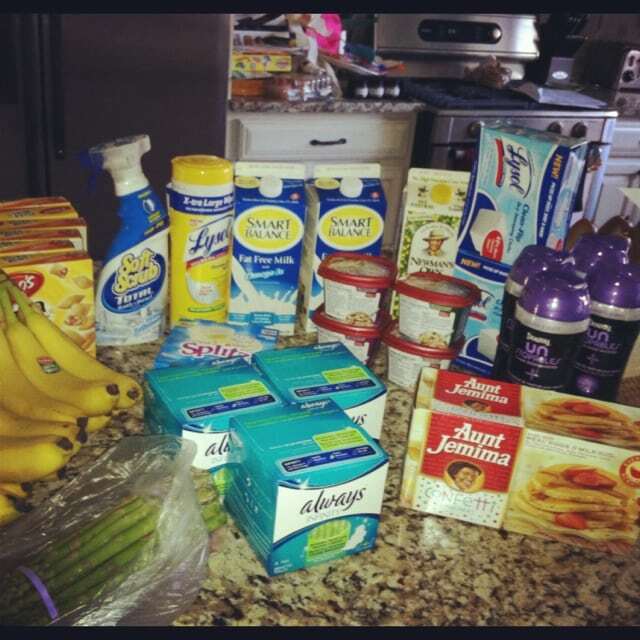 i hardly ever shop at stop and shop. Just started because the local mart I’ve been using no longer accepts american express. So i cant go there anymore. find to make this a easier journey. find to make this a easier journey. This is my first time making a comment on your blog.